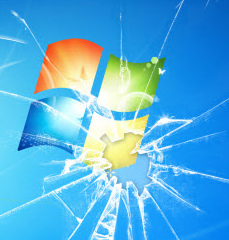 One of the operating system updates Microsoft released on Tuesday of this week — KB3033929 — is causing a reboot loop for a fair number of Windows 7 users, according to postings on multiple help forums. The update in question does not appear to address a pressing security vulnerability, so users who have not yet installed it should probably delay doing so until Microsoft straightens things out. Various tech help forums ares starting to fill up with requests from Windows 7 users who are experiencing a reboot loop after applying the glitchy patch, which is a “code signing” update that improves the ability of Windows 7 and Windows Server 2008 R2 systems to validate the integrity and authenticity of programs running on top of the operating system. At this time, none of the tech help forums seem to have a solution for the problem. If that changes (or if Microsoft pulls and re-issues this patch) I’ll update this post with a solution. For now, it’s best for Windows users to delay installing KB3033929. This entry was posted on Thursday, March 12th, 2015 at 7:21 am	and is filed under Latest Warnings, Other, The Coming Storm. You can follow any comments to this entry through the RSS 2.0 feed. Both comments and pings are currently closed. is the windows update 3033929 safe to download has it been repaired..no one seems to be reporting on it.